Lessons for beginner, intermediate and advanced levels. 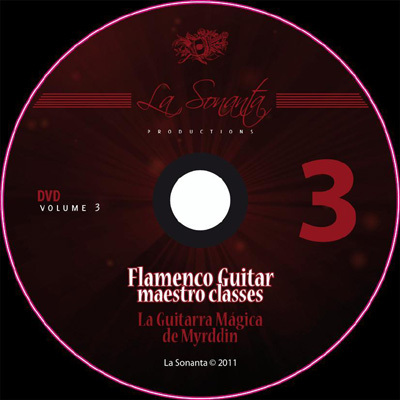 The Flamenco Guitar Maestro Classes of the independent label ‘La Sonanta Productions', are created in close collaboration with the world’s best flamenco guitar maestros. 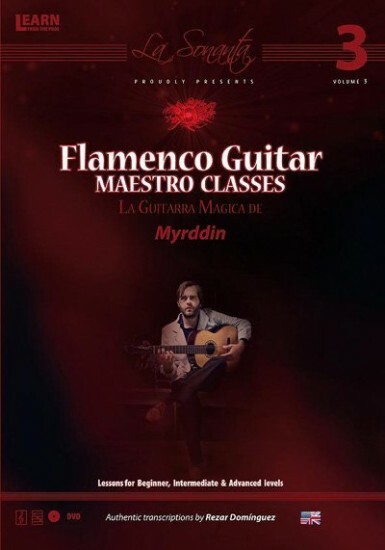 In this flamenco guitar DVD production, the maestro and composer In these lessons, available in both DVD and book format, the phenomenon of comtemporary flamenco music, Myrddin, invites us all to learn his unique flamenco guitar technique. 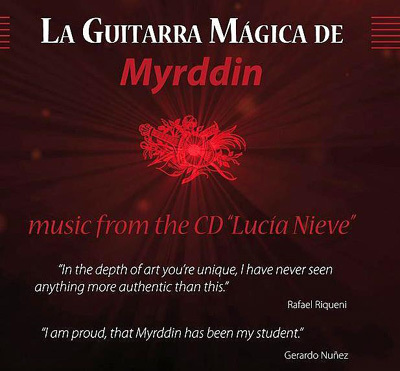 Based on complete compositions from his latest CD, 'Lucia Nieve', Myrddin guides you through his specific techniques of legado, alzapua, tremelo, arpeggio, picado, pulgar and rasgueado, at both normal and slow speeds. Myrddin demonstrates these techniques in practice by playing three of his compositions, which are then replayed slowly on a split screen with close ups of both the left and right hands and a dynamic on screen compas. The DVD includes insightful interviews with Myrddin and his family, that discovers the origins of his musical journey and touch upon the philosophy of musical inspiration and composition. 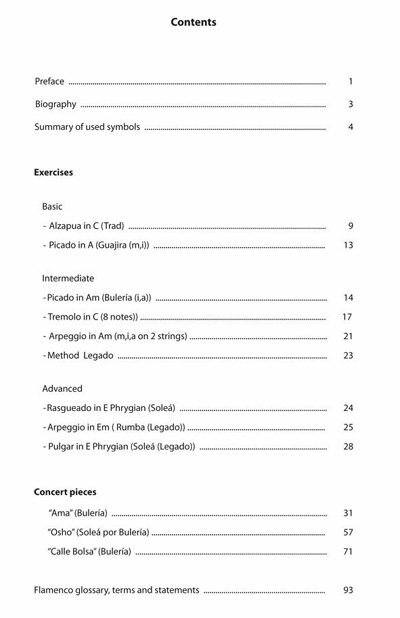 The book consists of 112 pages with authentic transcriptions, approved by the maestro, in both standard music notation and tablature. Language in English. Born in Belgian in 1978 into a very musical family, Myrddin was surrounded by an variety of musical influences from a very young age. 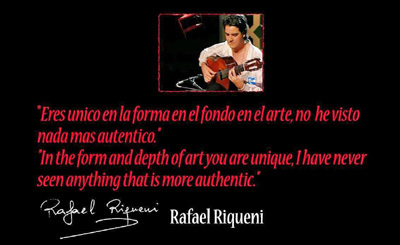 In the early 1990's he followed his passion for flamenco and studied with some of the greatest Spanish flamenco guitar maestros such as Gerardo Nunez, Manolo Sanlucar, Enrique de Melchor and Rafael Riqueni. Due to his extensive musical background and his hunger to dig deeper into the heart of his music, Myrddin has created a unique style that moves every audience with his marriage of technique and emotion. NOTE: This DVD version is PAL All Regions. Most computers and newer DVD players should be able to handle this version in North America, however, some machines have experienced compatibility issues.